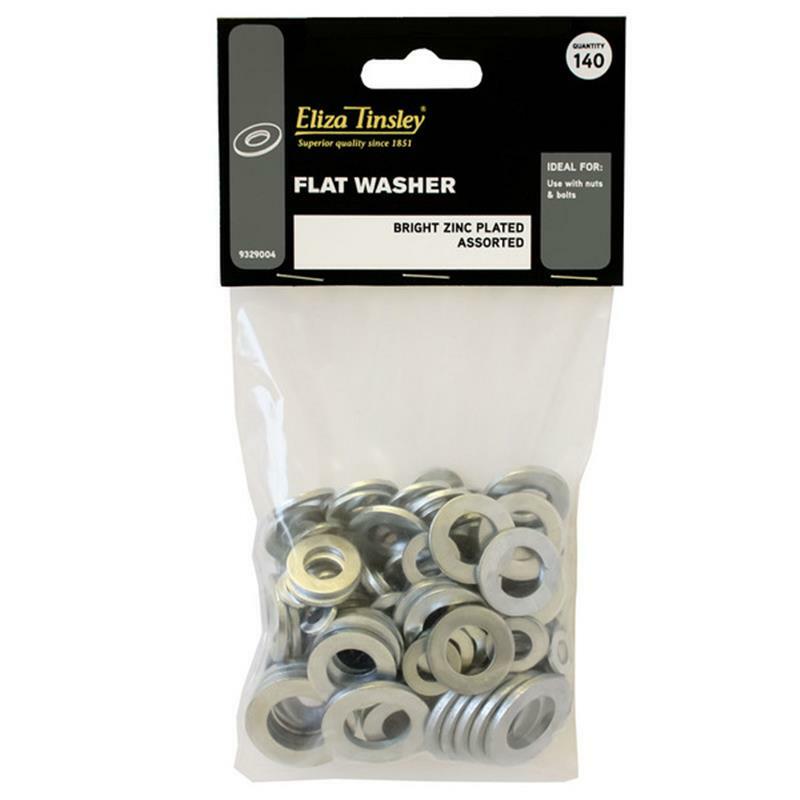 Eliza Tinsley BZP Assorted Flat Washers - 140 Pack. Assorted washers for general use with bolts or machined screws. Bag comprises of: 30 x 60mm, 30 x 8mm, 30 x 10mm, 30 x 12mm & 20 x 16mm.